An old project I resurrected. 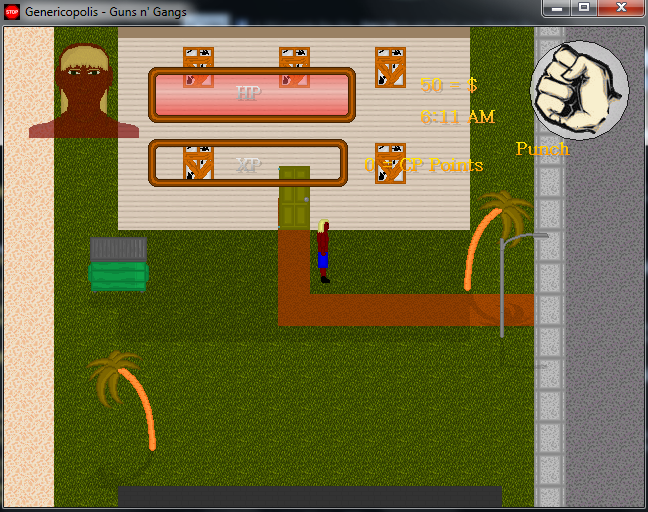 An action-RPG mashed with GTA. I will update this with new features soon. So far there really isn't much of a story going on besides the fact that you are a person who dropped out of high school, couldn't get a job and had to resort to crime, yada yada yada (it's just for context). Large world to explore filled with crime to be done, collectables to be found and activities (gambling, driving, drinking, etc.) to try. Enjoy the random weather and day/night systems. Many objects are completely destructible so go on a statue or stop sign-destroying spree. Look out for secrets, references to the engine community's jokes and other games and media. Detail is everywhere. Choose from a number of houses to buy and buy new furniture for them. There is also a good variety of vehicles with different properties (speed, acceleration) to drive around. Play as both a man or a woman - For the first time ever, be a gangster girl, with a few different perks and changes to the world. Mouse control! 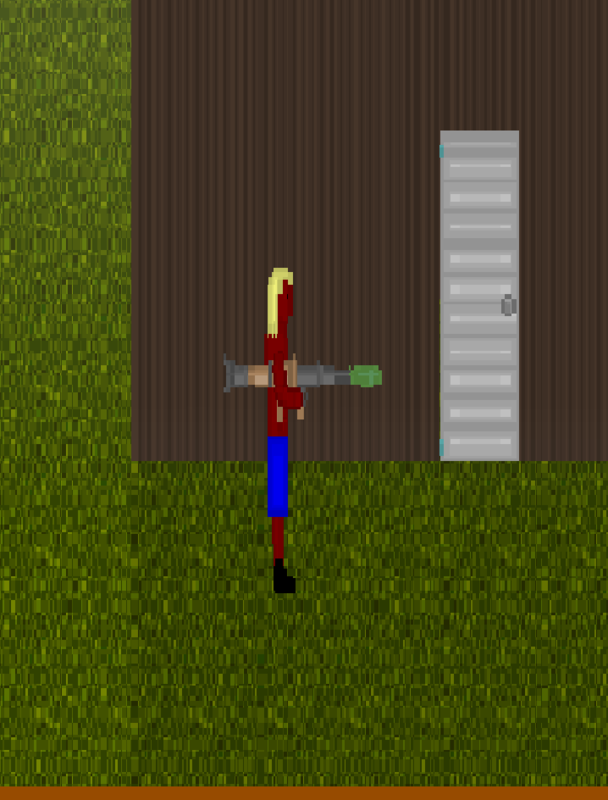 - Aim, turn your character, switch weapons and shoot with the mouse. Character customization - Change clothes, hair, pants, race, gender, name, etc. Leveling system with perks! - Pretty much everything you do gets you XP, which will enable you to grow your abilities as well as every 2 levels, select perks. You are given 2 to choose from which gives you bonuses (similar to Fallout's system). I'm taking an RPG approach to this to make it a little different. Loot - GTA needs more loot! MOAR LOOT! Lots of weapon and item variation (anything from painkillers to books) to keep things interesting. Crafting system - Not finalized, but I am thinking of putting up some crafting benches around in certain places and you can collect/buy parts to improve weapons and armor, as well as repair them as gear breaks over time. Join a gang - Choose from 3 wacky, themed gangs and help support yours and rise up the ranks to where you run the city or go it alone. Drug dealing mini-game? - May not happen but I was thinking of having some underground dealers crowded in alleyways scattered around that you can deal with to try and make some money. Full sound - Already implemented, sound for every weapon, every vehicle, etc. as well as a good chunk of rock music as a soundtrack. I will simply try to make a good game, hoping it will be the best GTA clone you guys have every played here. KEEP IN MIND THAT SINCE THIS HAS DARK, VIOLENT AND CRIMINAL ACTIVITIES INVOLVED (ALONG WITH OTHER MATURE THEMES) THIS IS FOR MATURE GAMERS ONLY! What do you think? Things have been slow this week on both games while on worked with a beta tester of the engine to try and fix some bugs and performance issues that make the game(s) unplayable. Unfortunately, we aren’t at that point yet. So far I’ve had to tighten up the code and break up the maps which were originally designed to be seamless, but it shouldn’t be too much of an issue. The stat screen for Genericopolis is done and I have also worked on the HUD and fixed it up a bit.For those wondering where the actual dinosaurs are in Survival of the Fittest, I worked for a guy on his game and asked for dino sprites in return so hopefully he will finish them at some point. It has been a month. It was quite a productive week over here at Wonderland Games. MARCH BREAK FTW!